By Piers Moyles | November 24, 2015. 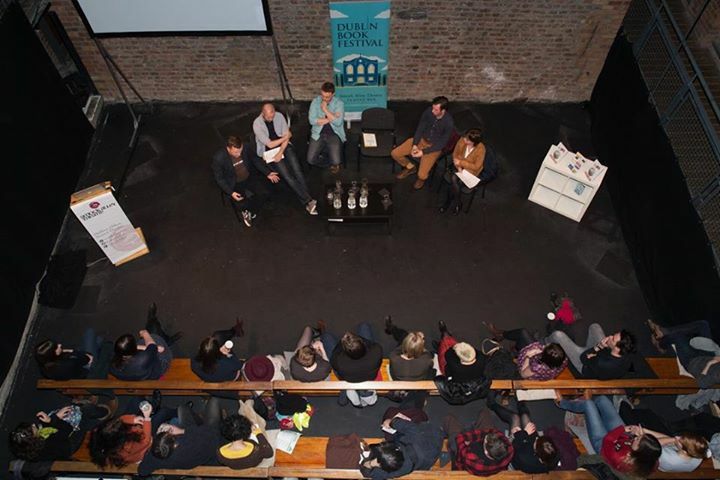 With over 50 events packed into just four days, this year’s Dublin book festival was the biggest and most successful yet. The festival has been running since June 2006 and aims to celebrate publishing, poetry and everything literary that Ireland has to offer. There were numerous chances for readers to chat with and meet authors of their favourite Irish books and buy their latest works adorned with the signature of the mind behind the title. “Over the last nine years, the Dublin Book Festival has become firmly established as one of the highlights of our capital city’s cultural calendar”, said Heather Humphreys TD, Minister for Arts, Heritage and the Gaeltacht. She continued: “The uniquely friendly, intimate atmosphere of the festival gives aspiring authors with the chance to meet, and learn from, established writers. For everyone else, it is a chance to experience the work of some of Ireland’s great literary artists.” And that is exactly what transpired. The events were well attended not only by literary enthusiasts from all over Dublin but also established authors and poets from elsewhere in the Emerald Isle. The likes of Danielle McLaughlin, author of the short story collection ‘Dinosaurs On Other Planets’, Donal Ryan, the mind behind ‘The Spinning Hearts’, historian Turtle Bunbury, journalist Pamela Newenham and many more from the rich world of Irish literature came together at the event. One of the most popular showcases took place on the Saturday. Poet’s Corner saw prominent Irish poets Harry Clifton, Michael Longley and Paula Meehan read from their extensive bodies of work. Despite the rain flooding the streets of Dublin, people turned out in their numbers and raincoats, perched their umbrellas against their chairs and listened intently as the three author’s dulcet tones echoed throughout the room. Another well attended event was ‘Meet the Editors’, which saw a panel consisting of Gráinne Clear, publishing manager at Little Island Books, Dan Bolger, commissioning editor at New Island Books, Helen Carr, senior editor with O’Brien Press and Patsy Horton, managing editor of Blackstaff Press. The discussion was chaired by publishing manager and founder of The Stinging Fly, Declan Meade. It was clear that a large section of the audience were aspiring authors and publishers alike as they continued to pick the brains of the assembled panel. There were also events for children to attend such as a story writing competition, a children’s treasure hunt at Smock Alley and the hugely entertaining Giant Doodle with illustrators Chris Judge and Mark Wickham, in the hopes to inspire the young writer within. With the age of social media in full swing, the organisers enjoyed seeing such a turn out for the most historical form of writing. With walking tours, intelligent flows of conversation and playful games for the kids, the event had something for everyone. A thoroughly enjoyable time was had by all as bookworms came together and proved there’s nothing better than the feel of a book between your hands and the sound of a good page turner.